Wow. A lot of great stuff. I forgot to buy an IRL advent calendar but this is much better, and a lot more personal since everyone's actually putting in a lot of effort unlike real advent calendars, which only consist of mass-produced chocolates. DJ, your photography's incredible. Especially the lighting. Dix, that was really well made. The song fits perfectly. Euan, as others have said, I didn't know you played music. It was very good. Great to hear that song from The Snowman! Sidenote: this was supposed to be a video but I accidentally. There’ll be a video of this at some point but this’ll have to do for now until I can manage to not be such a lazy so-and-so. It’s Christmas time again, and that means for some reason it’s also time to reflect on the last 365 and a bit days, because it just wouldn’t be Christmas without that, right? Of course, I’m only going to be reflecting on the videogame side of things. What, you think I actually pay attention to the world outside of the cave I live in? As a first for this year, I’m putting an entirely new spin on my annual Christmas thing and celebrating the best of what gaming’s had to offer this year by giving out some prestigious awards. Starting off strong, obviously. There’s a fair few games worthy of mention here, the obvious one being Smash Bros for Wii U and Amiibo-geddon, sending people into despair and mild states of panic as stocks depleted across the world, leaving legions of people disappointed at not being able to punch Sonic in the face with Megaman in time for Christmas. I think it’d be wise to mention every EA game or First Person Shooter too, but the award this time goes to Ubisoft for Assassin’s Creed Unity. Not only did microtransactions come out of nowhere, and all that nonsense with the versions locked at the same resolution despite the fact that one of the two main consoles could run it better, but then it couldn’t… that’s not the reason this gets the award though - that honor belongs to the frankly incredible glitches people experienced, given the game was quite clearly unfinished upon release. It’s gloriously creepy yet so, so funny in equal measure. Nice job, Ubisoft… I guess? Cynical I may be, but there’s been some genuinely good stuff released this year. There’s been the usual suspects of course, but one or two surprises have appeared entirely out of nowhere. Five Nights At Freddys gets this award - overdone on Youtube, yes, but it’s a great demonstration of how to make a game actually scary. Instead of the usual action game, with enemies being people with an arm for a face that the horror genre has sunk to in recent years, Five Nights at Freddys (and its sequel) has gone and shown everyone you don’t need anything bar the gameplay and some excellent scenario-setting. The jumpscares themselves get old quickly, but I’d be lying if I said the game still didn’t creep me out, something that very few manage to achieve these days. Except from that cave in Pokemon Channel. Every time. Of course, it’s not perfect as far as games go, the graphics are rather low-end and the game itself is quite a repetitive concept, but the fact that it’s a pretty concise and refined idea that gets ramped up towards of the game makes it pretty solid - it gets pretty chaotic towards the end which genuinely helps add to that notion of fear… It’s far from perfect, but a definite surprise hit in my eyes. It’s been a great year for next generation consoles, this year, each of the main consoles gaining an impressive line-up of last generation’s exclusives with slightly better graphics. Debatable whether this in itself is fan-service or just cashing in, but definitely the standout two of these for me are Halo: Master Chief Collection (those remastered cutscenes!) and Pokemon: Omega Ruby and Alpha Sapphire - both completely redo their source material and breathe new life into them whilst retaining everything that made the originals so great. Of course, I should also talk about Super Smash Brothers here, but that would be the cliched choice wouldn’t it? The award goes to Sony, however, for making a 20th anniversary Playstation 4, which brings back that sound. You know the one. The sound of my childhood right there. Yes, Halo has some impressive cutscenes, and Smash Brothers has quite possibly the biggest and most detailed catalogue of everything Nintendo, but do they have the PS1 startup sound? No they do not. Congrats Sony. Oh boy, are there many to choose from here. There’s a certain event from 2014 that I won’t even talk about here, but that would be a goldmine in itself for this award. The usual suspects are still in the running, EA for microtransactions and destroying old franchises (Rollercoaster Tycoon and Dungeon Keeper Mobile, anyone?) as well as Activision for generally doing nothing apart from squeezing every last drop of cash from Call of Duty. Ubisoft again get a mention here for their previously mentioned trainwreck of a launch with AC:Unity, as well as Watch Dogs being delayed a lot, then not being very good. When I thought about it though, I realised there could only be one winner for this award. So here’s to you, eBay and Amazon sellers. You, the ones who went and bought Smash Brothers Controller bundles to resell at idiotically inflated prices. You are the true arseholes of the year. Give yourself a round of applause. Then leave the room in shame. The big one, my Game of the Year award. Truth be told, I haven’t actually played that many games this year, but one game did impress me above all others. 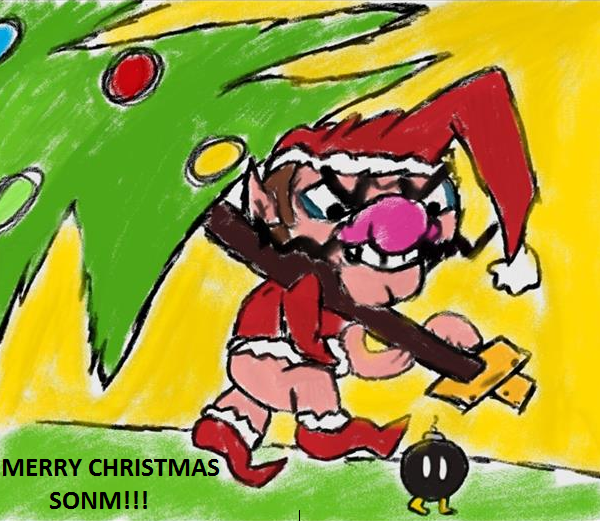 The long awaited return of one of gaming’s classic heroes. Long has he been given awful, awful games and ‘sold out’ by the publishers, and this year that run finally came to an end. Matching flawless gameplay to stunning narrative, the greatest graphics I’ve ever seen in a title and an experience so immersive I found it hard to believe that it wasn’t real life. Seriously, I’ve never felt as immersed in a game as I have this one - a simply perfect experience, my game of the year award goes to Sonic Boom, Rise of Lyric. Poor joke out of the side, my real game of the year is likely to cause a little bit of confusion. Being a Nintendo title, it’s nothing particularly new or revolutionary, but what it does it does excellently and was a very rare case of me genuinely enjoying a game through from start to finish. Not to mention the fact that it looks great, and is rather fantastic on all levels. Donkey Kong Country: Tropical Freeze is a game which I instantly got on with, and I couldn’t find any great fault with it. I’d love to put Mario Kart 8 on here too, because that’s very much the same kind of story, but I enjoyed my playthrough of Tropical Freeze just that little bit more. It’s a greatly polished experience, and if you haven’t played it yet, you definitely should! So good in fact, Tropical Freeze gets the very first Game of the Year award I’ve ever given out. The award’s in the post, I ran out of my entire budget so there’s just a cardboard cutout of a gold star to go in Nintendo HQ’s lobby. Thanks for reading, this was supposed to be a video entry but life got in the way unfortunately. Until I can get that sorted, I’d just like to wish you all a very Merry Christmas, and a Happy New Year! Here’s to 2015! Don't be fooled, there is no link, it's all in the spoiler tag! Your proper Game of the Year is a bit controversial. I never played it but I haven't actually heard much good reviews for it. You sure it's good enough to beat Smash Bros or Omega? Your fan service award is a very smart choice. Sony definitely did do well with bringing back that sound. Pity they didn't bring back a certain Australian marsupial to go with it..
You should've done the WHY CAN'T THERE BE A GENUINE COMPETITOR IN THE MARKET AWARD and given it to EA and FIFA. As much as I sing praise of FIFA EA are lazy cash sucking cows who essentially give you updated squads and slighty better graphics every year, at least since the first FIFA with Ultimate Team, that being 09. That long ago. So moving away frome that entirely OOC rant great job! I still need to beat the last boss because I can't get back into playing it at the minute (something was going off at the time and I'm sort of like that with stuff bringing back bad memories) but every bit I played of it was amazing, frankly. Only time I've genuinely had great fun with a game all year, to be honest - on the back of that, it had to be GOTY! Fantastic submissions so far. My fave has to Santa Yoda. I loved the style. Also, DJ's Christmas pic made me feel all warm and fuzzy. as well as Activision for generally doing nothing apart from squeezing every last drop of cash from Call of Duty. Activision did everything right with CoD though, Advanced Warfare had a trouble free launch, it's looks great, and the exo suits work far better than i had ever expected. I'll admit, they did better with this one - I haven't played it but it does actually look fun for once, but it's still got the whole DLC silliness and I don't like that so much. 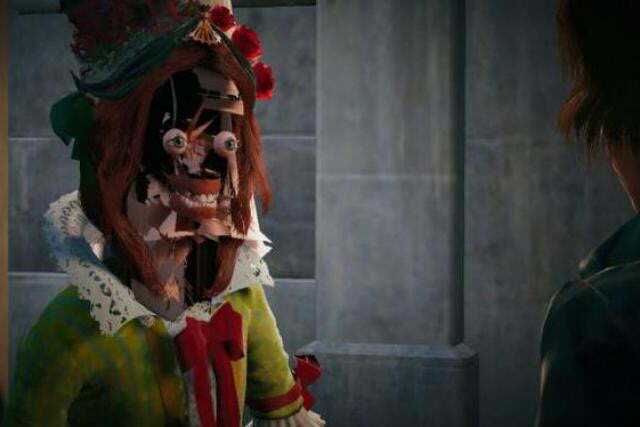 Maybe BlOps 2 just put me off a bit much, I dunno. Cash, duh. No one uses cheques anymore. I'll let you keep the fiver however if you kidnap some of these fantastic writers and trap them in my Writer's Circle thread? Ext. A mansion in the middle of a forest. A woman, LYDIA, is standing at the front-door. She's wearing a pink dressing gown. One hand touches her hair while she watches the two men coming up the pathway to meet her. The first man, SLIM BANKSHOT, is the best friend of Lydia's husband NEVILLE. Lydia hasn't seen him since the wedding: ever since then, he's had to serve as travelling poker host, morale support during the war. He looks every bit as handsome as the last time she saw him, with a smart tuxedo and a bowtie. Time, it seems, favours some men above others. The other man, LUGGS, is Neville's other main friend. He is very fat, with absolutely no neck. He looks like one big fat blob, wearing a horrible toupee in a futile attempt to hide his baldness. Lydia scrunches her nose as she shakes his hand; yellow gas protudes from his mouth. Needless to say, Luggs has never been married. Slim also hasn't been married, but that's a result of the kingdom's ancient politics rather than a lack of good looks. "Such a pity," Lydia thinks, as she kisses the side of his warm, handsome face. "He'd have made such a wonderful husband." SLIM: <returns the kiss> Lydia! Great to see you again after so long! LYDIA: I've been doing great. Oh, Slim, how I've missed you! SLIM: Well, I'm here now. <looks past Lydia and into the mansion; several people can be seen gathered underneath the chandelier in the foyer> Has everyone arrived? LYDIA: Most people, but not everyone. We're still waiting on Jarvis and Petunia. LYDIA: Right. Well, Baron Red Guy and his men want to start the bonfire already but I've told them to wait until everyone arrives. Then we can have the best party ever! Oh and Mum's taken the boys to see Sir Weston down in the cellar. Of course, they think it's Santa! The whole place is done up to look like the North Pole! You really must see it Slim, it's amazing! SLIM: Sounds wonderful. Will they be getting presents? LYDIA: Well, duh. A toy car and a toy plane. They're from me and Neville but you know, they're "from Santa". And Gus, Harold and John are guarding the rest of the presents up in the toy room. Of course, the boys won't be able to go there until tomorrow. Their fifth Christmas. Fifth! Can you believe it Slim? SLIM: That's five whole years without even seeing them <shuffles his feet a little sadly> And soon they'll have a brother! How long? LYDIA: <rubs her tummy fondly> Four months. Well, come in, come in! Lydia, Slim and Luggs enter the mansion. SHIVERS, the butler, walks over to them. He's an old man, dressed like a vampire and holding a candelabra. SHIVERS: Aah, Mister Bankshot, good to see you back from the war. LYDIA: Who are you looking for? SLIM: Darling and Honey Whirlinda. I'm meant to be teaching them a new dance move. And I must say, Darling seems like a really fun dance partner. You know I've had a crush on him since we were kids! To get the chance to dance with him is like a dream come true. LYDIA: Oh, stop it you! SHIVERS: They're in the washroom. Apparently the young lady dropped one of her earrings down the toilet. SHIVERS: So, can I get you anything? SLIM: A martini would be nice. LYDIA: You may get him nothing. SLIM: But Lydia, he must be allowed to have something. Just look at the size of him! LYDIA: Yes, he must. But Shivers may not get it for him. Luggs, go to the kitchen. Tell the chefs to start putting out the banquet. And get Slim his martini. <Without another word, Luggs rushes down the corridor, into the kitchen, licking his lips in anticipation> Shivers, wait by the front door. We're still waiting on Jarvis and Petunia. LYDIA: Just some pianist Neville hired for the party. She's horribly late. SHIVERS: She's not just any pianist. She's the spectacular beauty of the ivory keys! LYDIA: Well, she's not as beautiful as me, now is she? SLIM: Shivers, go see if they're here yet <Shivers leaves> Lydia, you don't have to be jealous of some pianist. LYDIA: He's talking to the prisoner. He'll be up in a minute. Um, Slim, can you entertain the guests for a bit? I need to speak to my sister. LYDIA: She's ... doing better. Well, I've got to go. Lydia kisses him on the cheek and leaves. Slim goes over to the DUKE OF WAFFLEDOM. There are two cells in the dungeon. In one cell is KING BOW, a dinosaur-like creature. In the other cell, are his SOLDIERS. King Bow was in charge of the enemy kingdom in the war. When Neville's king defeated him, Neville was asked to look after him: if Bow had been kept in the palace dungeons, his followers would know where to find him but no one would know to look for him in the mansion of some nobleman who lives in the woods. BOW: What do you want? NEVILLE: I hate having to do this, you know. I'm not a nasty person; the whole idea of keeping prisoners sickens me. I have to do it, but I can make it easier. We're having a party upstairs. If you want, I could bring you down some food. BOW: No. I'm a king, not a charity. I shouldn't have to be given food out of pity. Neville leaves the dungeon, a little annoyed. GAMEKOOP ADVANCE, one of the soldiers, glares at Bow. GAMEKOOP: We could have done with some food. BOW: No. We're getting out of here soon. Then we can have all the food in the world. GAMEKOOP: We are NOT getting out. BOW: Yes, we are. Just you wait and see. MADAME CLAIRVOYA, Lydia's sister, is in bed, looking into her crystal ball. MC: Please call me Madame Clairvoya. LYDIA: We're both Madame Clairvoyas! MC: Not anymore you're not. Not since you married that idiot. LYDIA: Excuse me?! How dare you speak about my husband like that! I'd think you'd be a little more appreciative. We're letting you stay in our house, Lord knows you wouldn't be able to afford your own. Not when your only profession is your highly questionable fortune-telling. MC: You know my fortune-telling's real. I've got a gift! Why can't you accept that?! LYDIA: I do accept that. I accept everything about you. I just don't like the way you speak about Neville. Now, why don't you leave this murky room and come join us at the party? MC: Please don't say that name. LYDIA: Oh, come on. Let it go already! You're a fortune teller. You of all people should have known that he was only using you as a beard. Please sis, you can't rot away here for all eternity. Come join us! MC: I'm sorry, I can't. MC: Wait! <Lydia turns back. Madame Clairvoya's eyes are gone weird, as if she's caught in a trance. A glow comes from her crystal ball.> What is this I see? Ooh, ooh no, but how can this be? LYDIA: What is it sis? MC: Oooh... Harummm... A giant cloud of metal is coming this way ... a robot, yes, yes a robot. Bigger than anything I've ever seen before. It's called ... it's called yes, yes, it's called the Colossus and-and inside are fifteen of King Bow's minions. Hack. Ahhhhh! I can say no more! The spirits leave me! LYDIA: What does it mean? MC: It means that this mansion is about to be attacked. Bow's minions are coming to free him. LYDIA: But-but that's not possible! How can they know he's here? LYDIA: But-but how do we stop them? MC: We can't. The Colossus is too powerful. And it's too late to call the plumbers to take care of it. The beast is almost here! LYDIA: But-Bow, will he escape? MC: Probably but he's the least of my worries. LYDIA: What do you mean? MC: Remember the golden mice? The ones that hide in the walls of this mansion? MC: We've never been able to catch all of them but, as the legend goes, if someone manages to catch them all, that person is given unlimited power. Now, imagine what would happen if this power was given to the Colossus, or Bow himself? LYDIA: You think they're going to catch the mice? MC: We can't afford to take the risk. They need to be stopped. LYDIA: How? You said yourself that they're unstoppable! MC: The element of fire. MC: Burn the mansion to the ground. Killing the Colossus-and the mice-in the process. LYDIA: Burn the - but this is our home! MC: What choice do we have? Oh and Lydia, everyone in this mansion must perish in the fire too. MC: You know how it works: as long as anyone who's ever stepped foot in this mansion is alive, the mice can not die. Luckily, everyone who has stepped into the mansion is either already dead or at the party here tonight. LYDIA: You can't be serious! MC: I've never been more serious about anything in my entire life. When the Colossus arrives, you must set the place on fire. Or get the butler to do it. Lord knows, he carries around enough fire in his candelabra! LYDIA: But I can't! The kids! MC: The kids must die. We must all die. This mansion needs to be destroyed. It's the only way. We might perish but we're saving the rest of the world from certain destruction. LYDIA: No! I can't. It's not right! MC: Correction: it is right, it's not easy. Look, Lydia, if we don't do this, Colossus will get the power of the mice and kill us. We're going to die either way. But by starting the fire, we're saving the lives of millions more. LYDIA: <looks at her sister with sad, angry eyes> You know, sometimes I wish you were a phony fortune-teller. Neville sees Lydia leave Clairvoya's room. NEVILLE: Hey. How's the party going? I'm going to play a game of pool with Slim! He's never played before but he thinks he'll be great at it. I'm going to prove him wrong! <laughs, then stops> Is everything okay? You look like you've seen a ghost! <Lydia tells him the truth> WHAT?! But - but - that brat of yours is crazy. All those oestrogen shots I suppose, turning her crazy! LYDIA: She's telling the truth. Colossus is coming. NEVILLE: But there must be another way! NEVILLE: Well, we must at least tell the others. LYDIA: No, we've got to keep this a secret. No one must know, no one must leave the mansion. NEVILLE: Oh for goodness sake. I knew that having a fortune-teller as a sister-in-law was a bad idea. No wonder Slim broke up with her! LYDIA: She's only trying to protect us. NEVILLE: By setting us on fire?! LYDIA: Well, maybe not us. But she's trying to protect the world! NEVILLE: But - <breaks down into tears. Lydia comforts him> Right. Well, I've got to tell Slim. NEVILLE: He deserves to know the truth. He'll understand - a lot better than I ever will. Neville leaves. Lydia is about to follow him when she's hugged by two small boys, her sons HENRY and ORVILLE. They're accompanied by NANA, Lydia's mum. LYDIA: Oh, that's wonderful. Hey, why don't we find a really nice spot for it in your room? NANA: Are you okay love? Henry and Orville are playing. Nana and Lydia are watching them. Lydia's crying. HENRY: Mummy, why are you crying? LYDIA: I just love you all so much. Want to play hide and seek? LYDIA: Okay, so you and Orville hide in this room while Nana and I go outside and count. HENRY: Okay. Oh, oh, Orville, I've got the perfect hiding place! NANA: They really are amazing! They remind me of you when you were that age! Remember how you and your brother would be swinging off Papa's arm, singing the song from "For the Frog the Bell Tolls"? <Lydia locks the door> What are you doing? <Lydia explains everything Clairvoya told her> Oh, honey! LYDIA: Take this key and don't open the door. The boys need to stay in there. NANA: Shouldn't we keep them close? LYDIA: No, they'd never understand why we need to do this. It's better off if they don't know anything. If they think it's all an accident. LYDIA: They're my children. I'll decide what happens to them. And I don't think I could take it if I saw their faces when the fire starts to destroy everything. NANA: But they're going to die! LYDIA: Well, I'm trying not to think about it. Trying to act like everything's okay. NANA: But Lydia! At least let me look after them! NANA: You're turning as cold as your brother! I know you're scared but please, be sensible about this. LYDIA: I am being sensible. I'm this close to not being able to keep it all together. If I spend a moment longer looking at those innocent faces, knowing what's about to happen, I'll fall apart! LYDIA: That's him. That's the Colossus! He's here! THE DUKE OF WAFFLEDOM and a few others, including UNCLE GRIMMLY, on balcony. They're staring at the monstrous, robotic COLOSSUS in fear. COLOSSUS: You know damn well who. Colossus shoots lasers, which turn Duke and the others into oil paintings but Grimmly, who's hidden in the shadows, manages to flee. MELODY is playing music. People are watching her. Among the audience is SHIVERS, the butler. MELODY: And now the next one is Totako's song. Lydia enters the room. Grabs Shivers and takes him outside. Shivers smiles at Melody as he leaves; she looks at him in disgust. Neville sitting on his chair, reading. LYDIA: I've told Shivers to start the fire. I've locked Sue Pea, the servant girl, in her room and I've hid the key in the treasury, which I've boarded up. I've fed Spooky, the dog. I - where's Slim? NEVILLE: He's a proper gent. He promised himself that he'd play a game of pool and that's what he's going to do. He's going to die playing. It's any moment now, isn't it? NEVILLE: I-I can't do this! LYDIA: Please, come to bed. NEVILLE: In a while. Going to finish reading this first. LYDIA: But the fire's about to start! NEVILLE: When it does, I'll find you. I just need to be alone right now. Lydia stops outside one of the rooms. She opens the door and looks inside: it's the room that would of been her baby's. She rubs her belly and cries. BIFF ATLAS, her bodyguard, arrives in the corridor behind her. BIFF: Lydia, what's happening? What's that banging coming from? Lydia sits by her mirror and starts brushing her hair. Biff starts rubbing her back. BIFF: But we love one another. LYDIA: I know but, look, there's something I have to tell you. You've been a faithful bodyguard. You've always been there to protect me. But we, we should never have slept together. I don't even know how it started. Neville was distant I suppose, he was so worried about Slim being away at war and then he started worrying about keeping Bow as prisoner. And I, I don't know. I got curious I guess. I'd go to the exercise room and watch you. Just watch. Remember how I'd just sit there, not even say anything, just sit and watch as you lifted those weights? BIFF: That was so cute. LYDIA: But I don't know why I did it. This kingdom has been at war for such a long time, and I guess I just felt safe around you, you know? I liked that. I liked how you made me feel like everything would be all right. BIFF: Of course you're safe around me. I'll always be there for you. You are the love of my life. LYDIA: <crying> I thought you should know that. I was going to tell you after the party but, oh Biff, I'm so sorry. BIFF: <comforts her> Sorry for what? For loving me? For making me feel more loved than I've ever felt in my entire life? LYDIA: But it's not real. BIFF: To me, it is. Biff looks out the window, sees Colossus on the roof. Biff kisses Lydia, rubs her belly and jumps out the window, leaving a hole in the glass. A draft enters the room. Lydia pulls the curtains. As she does so, she sees Biff climbing up the side of the house, to face the monster. She smiles at how heroic he is. Shivers is walking around, running his candelabra along the walls, setting the place on fire. SHIVERS: Ah, the beautiful Melody will not even give me the time of day... What must I do to win her? Passion! Yes! That's it! I will show her I burn for her! My unbridled passion will scorch her soul! The burning flames of unbridled passion! Or... wait, how about the passionate flames of unbridled burning? Neville leaves the Study. He sees Nana, unlocking the twins' bedroom. NANA: Oh Neville, Lydia's lost it. She doesn't want to see me, or the boys. But she can't shut us out. Not now. As soon as the door's unlocked, the boys run out into the hallway and hug her. Lydia's sitting by her mirror, curled up as much as she can and whispering to her belly, trying to soothe the unborn baby. LYDIA: I HATE this fire! Why does it have to happen? I've had enough! This fire can't hurt us, baby. Not if we curl up and grow small ..........Small... Now grow smaller! Small! Itsy! Tiny! Little! Wee! Ga ga goo goo GA! Neville, Nana and the twins enter the room. Lydia looks up. She holds out her hands. The twins, Nana and Neville rush over to her and hug her. LYDIA: I'm so sorry. What have I done? NEVILLE: You did the right thing. You didn't have a choice. The family hug even tighter, staying close. Crashing noises can be heard all around the mansion as the fire spreads. The clock strikes twelve: it is Christmas. A small old man arrives at the mansion. The entire place is destroyed. MAN: Did my robot do that? A ghost wearing a crown is in one of the cells. Many other ghosts are in the other cell. The man screams. KING GHOST: Don't be frightened, it's just me Bow. KING: They knew. They knew the Colossus was coming, They set the place on fire. KING: In a manner of speaking. But all is not lost. I can still do stuff as a ghost. In fact, I'm more invincible as a ghost. I can leave this place now, if I want. But I was thinking, you know how those stupid brothers handed me up to their king? Well, I've got a plan to get some revenge. The man rubs his hands together excitedly. A ghost of a yellow mouse runs up one of his arms. MAN: Oh, hello there little guy. A whole 3 images and a piece of writing for Christmas Eve from Ghost! D.J wrote: Those are fantastic. My favourite is the Beauty and the Beast inspired Bowser and Peach scene, very adorable. 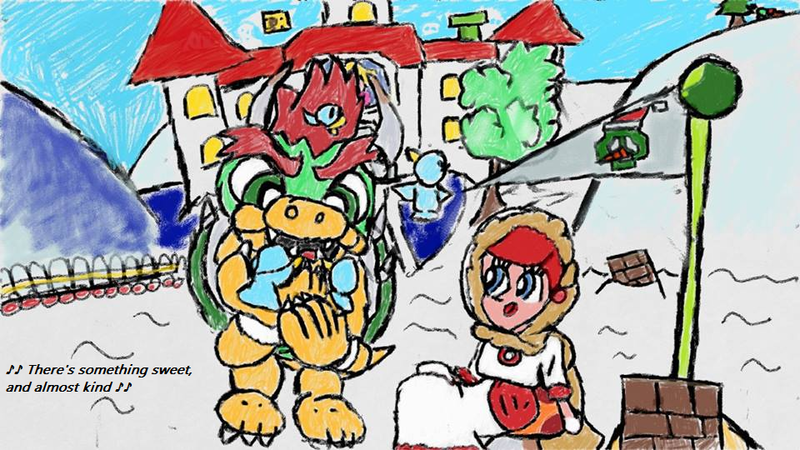 ChaosControl wrote: My favourite is the Beauty and the Beast inspired Bowser and Peach scene, very adorable. Kind of matches his rude personality, don't you think? 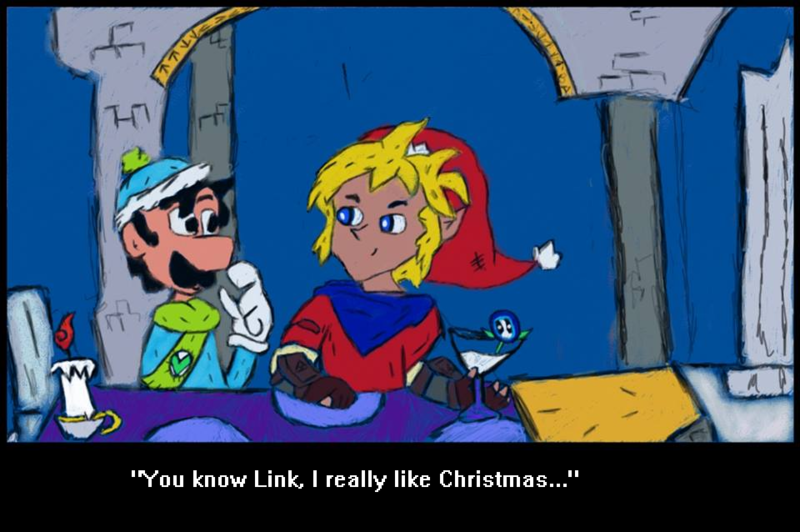 Kudos to anyone who actually reads the looooong Luigi's Mansion story!